Looking at the photos of the beautiful, glamorous and perfectly turned out actresses at the Oscars it is a stark contrast to how I have been looking for the last week. I have been in my combats, sweaty, covered in mud, hair everywhere and bruised all over. I am now trained and ready to go to Afghanistan if they need someone at short notice. I spent the last two weeks doing the basic training that everyone going to an operational theatre has to do. Relating to Afghanistan, naples, operational training, optag, shooting. I now have a plan for the next few months, which is great – it is a great plan and it is great to have a plan. I am doing training for Afghanistan in case I need to go and if I do not go I will be doing some locums abroad. Relating to Afghanistan, doctor, operational training, optag. ­­­­­­­­­­­­­­­­­­­First impressions of Afghanistan: hot…. unsurprising I suppose…. Relating to 3Cdo brigade, Afghanistan, Camp Bastion, Commando, logistic, logistics, operations, royal navy. I flew to Helmand province, Afghanistan on the 17th of September, so the first few weeks back from leave were really a case of finishing off any essential UK work, ensuring everything was in place for when I arrived in Camp Bastion, but most importantly cutting around the UK in every spare minute to say goodbye to family and close friends that I won’t be seeing until well into 2009. As everyone is deploying within a couple of weeks of each other, most people were doing the same. We had a couple of painfully good nights in the mess to mark the end of such liberties, and then we deployed. Relating to Afghanistan, Camp Bastion, Commando, deploying, logistic, logistics, royal navy. 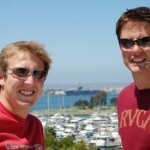 I headed off to California with 2 guys from the Mess at Chivenor. Landing at San Diego we picked up a soft-top Mustang and head off to the Hard Rock Hotel in the centre of town. What a place to stay. Relating to Afghanistan, leave, LPH, royal navy, san diego, US, USA. All of 3 Commado Bde have the opportunity to take leave for 3 weeks before the busy period of preparing for Afghanistan begins. I decided to work on the house and relax at home in Exeter. I’m going away this summer with some friends so wanted some down time at home. Relating to 3 Commando Brigade, Afghanistan, Exeter, leave, summer.